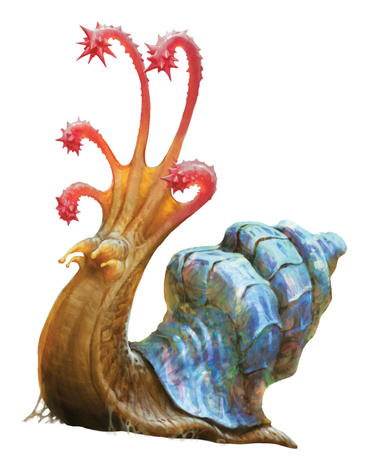 Volo’s Guide to Monsters is, hands down, the best thing that WotC has put out for 5e since the game’s launch. This book is exactly the type of stuff every gamer can put to good use. The book is basically divided up into 3 sections: Monster Ecologies, Monstrous Races, and a Bestiary. There’s something for everyone here, players and DM’s alike. The notes from Volo himself throughout the pages in the form of little scraps of paper and such are a nice touch. My review is so delayed because I’ve been spending too much time just soaking it all in. Well, that and I’m a tremendous procrastinator. Anyway, let’s dive into the contents and talk about them. The first section of the book really zooms in on the monsters, and clocks in at a little less than 50% of the total pagecount. This first chapter delves into each monster, where they live, what their lairs are like, and how they go about their daily lives. It also delves deep into what motivates them, their history and culture and what schemes they’re typically wrapped up in. The book covers Beholders, Giants, Gnolls, Goblinoids, Hags, Kobolds, Mind Flayers, Orcs, and Yuan Ti. A mere 17 pages are dedicated to monstrous playable character races, and although the section is thin – the amount of new options it offers players is pretty substantial. 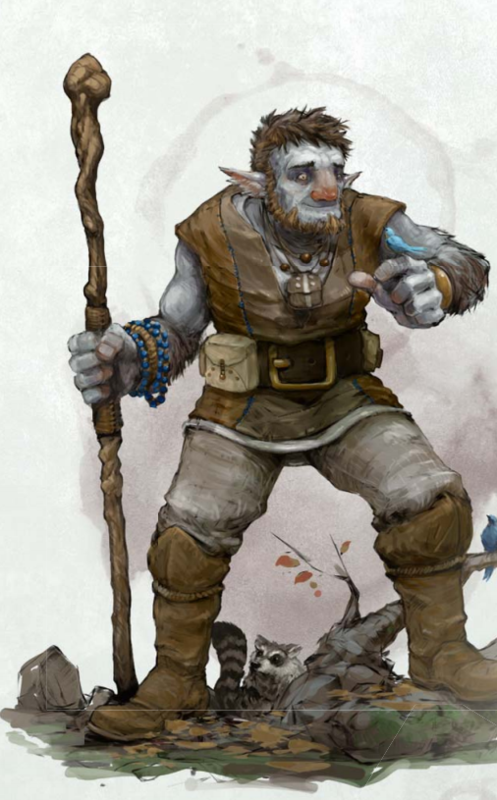 The book adds Asimar (opposite of Tieflings), Firbolg, Goliath, Kenku (humanoid bird people), Lizardfolk, Tabaxi (humanoid cat people), and Tritons (humanoid fish people) as racial options, each with their own host of traits and a smattering of lore. 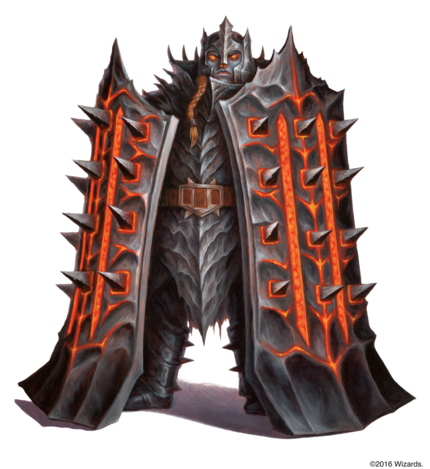 In addition to these there are also rules on how to use existing monsters as playable races – which indcludes goblinoids, kobolds, orcs, bugbears, and yuan-ti. As a person who had somehow never heard of Tabaxi as a race in D&D, I was eager to check them out and scratch the itch of rolling up a “Khajit” rogue for my own personal fun and amusement – it did not disappoint. My love for the Elder Scrolls universe and desire to run an Elder Scrolls-esque D&D campaign nearly tripled after picking up Volo’s. I don’t suppose there’s much more to be said about this section, as thin as it is, without giving away the content. So, let’s move on! The third chunk of Volo’s is as one might expect, filled with monsters not found in the Monster Manual, almost 100 of them. The banderhobb is back, but I’m not sure I’m as big of a fan of its lore compared to the 4e text. There’s 3 new beholder types, and lots of fey and impish creatures like boggles, grungs, redcaps, vegypgymys, wood woads, xvarts, and nilbolgs to run amok in your games. There’s also a handful of monsters we’ve already seen but of course with new variations such as Gnolls, Kobolds, orcs and others outlined within the first chapter of the book. There’s also some new bigger threats like the Froghemoth, new demons, big bad mindflayer boss bros (Elder Brain, Ulitharid), and my personal favorite – the catoblepas. There’s also a really great appendix of NPCs that largely reflect character archetypes and other baddies you might put in your games. “Warlock of the Great Old One” is my favorite but there’s a ton of stuff in there like transmuter, diviner, thief, ranger, apprentice wizard, etc. It’s good stuff, really. Lastly, a list of all the creatures from the book by environment type, and challenge rating. Something I wish the original Monster Manual had (list by CR) so I’m glad to see they put it in there from the get-go instead of releasing a PDF online to supplement. I said it before, I’ll say it again. 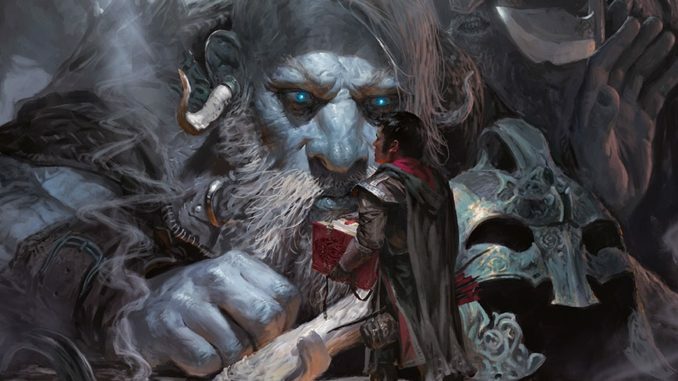 Volo’s guide is the best thing to hit the 5e hardback scene since the game’s launch. Run over to Amazon and snag a copy for around $25 or swing by your FLGS and see if they’ve got a copy, if you haven’t already. Until next time folks, game excellentlhttp://amzn.to/2tmXlHzy with one another! Mobile Games are “Booming”, Ugh.